Stretch It! How Does Temperature Affect a Rubber Band? #makereducation « Adafruit Industries – Makers, hackers, artists, designers and engineers! Scientific American posted another of their great tutorials! 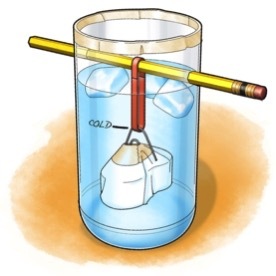 This experiment uses a rubber band, scissors, and temperature variation to explore some of the basic concepts of physics. Have you ever noticed that some objects tend to expand when they get hot and contract when they cool down? For example, you might run hot water over the lid of a jar that’s stuck—this causes the lid to expand, making it easier to twist off. Does this effect work the same way for all materials? Try this fun activity to find out!